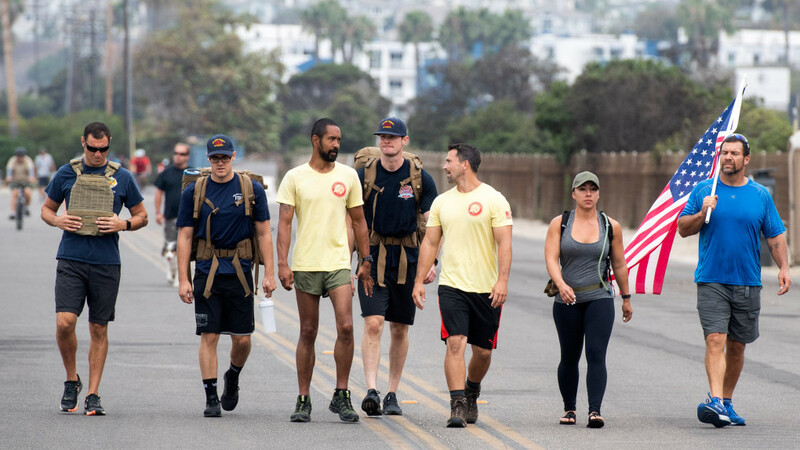 Two Marine Corps veterans and a female body builder were well into a 215-mile hike — from Ventura to San Diego — to create awareness for the plight of homeless veterans, when they considered giving up after four days of carrying 50-pound backpacks and a large American flag. That’s when Creutzburg, founder of Cammies & Canines, a San Diego nonprofit dedicated to helping homeless veterans and homeless dogs, received a Facebook message from a stranger. It was Ethan Martinez, a captain with the Orange County Fire Authority at Station 56 in Buena Park. “It said, ‘When you get to Orange County, we’ll be there to meet you and make sure you get safely through,’” Creutzburg said. The next day, Wednesday, Sept. 5, four Orange County Fire Authority firefighters met Creutzburg; Nate Schoemer, a retired staff sergeant and dog trainer; and Stephanie Rowe near the pier in Huntington Beach. “The firefighters immediately took the packs off us and started walking with us,” Creutzburg said. Over two days, 22 off-duty firefighters from OCFA accompanied the group through Orange County, leaving them near Camp Pendleton’s Las Pulgas Gate on Thursday, Sept. 6. These great folks are doing more than walking. They are pairing homeless vets with homeless dogs that they’ve trained into service dogs. They’re giving them a place to stay, work, and most of all – hope. A great cause to support. This entry was posted in Culture, Interesting, Relationships, You Can Help and tagged #Homeless, #Marines, #Vets on September 8, 2018 by R. Michael Brown. Many parents have been startled and intrigued by the way these disembodied, know-it-all voices are impacting their kids’ behaviour. Do we want Microsoft, Google, Amazon, etc. raising our kids? Are #tech values the right ones? This entry was posted in Communication, Culture, Faith, Interesting, Relationships, Tech on September 3, 2018 by R. Michael Brown. This entry was posted in Branding, Culture, Public Relations, Relationships, Social Media, Stupidity, Tips & Hints on July 1, 2018 by R. Michael Brown. Tips for founders and others whose jobs require constantly meeting new people. Good advice. Quality over quantity to max out networking. This entry was posted in Body Language, Branding, Communication, Relationships on May 12, 2018 by R. Michael Brown. This entry was posted in Relationships, Writing on April 29, 2018 by R. Michael Brown. What you say, what I say, is important. It has power. Our words can lift others up, make folks feel good, protect them from hurtful feelings, and more. 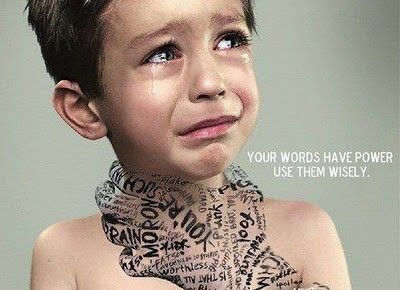 Words can also cut and hurt. 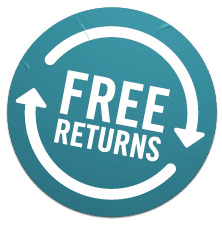 They can destroy a relationship, hurt your family, ruin a kid’s self esteem, bring bad feelings or cause a crisis in your organization, get you fired, and even cause someone to hurt themselves. In addition, the WAY we say something is important. Your tone and body language communicate as much or more than the words themselves. If you say something hurtful or in a hurtful way, be sure to apologize and ask for forgiveness as quickly as possible. They may not forgive you right away; but, at least you took responsibility for your actions. In our close personal relationships with a spouse, children, and family it’s even more important to repair our relationship after we have used words to hurt. Words can destroy trust and the desire to be close to each other. We all make mistakes with our words. Remember the power that they have. Our words can live rent free in someone’s head forever. When it comes to communicating on social media, you and your organization don’t need a complicated policy manual. Instead, a good rule is to just never say anything you wouldn’t want your mother to see or hear. On the Internet, your words will last forever. Future relationships, spouses, employers, clients, will be able to see them – forever. Those words aren’t easily retracted or forgiven. This entry was posted in Body Language, Communication, Public Relations, Relationships, Social Media, Speaking, Tips & Hints, Tone of Voice, Writing on January 25, 2014 by R. Michael Brown.